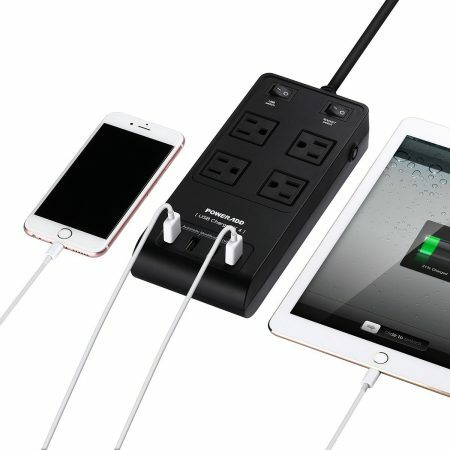 Standard Wall Adapter turns your device into a smart one. 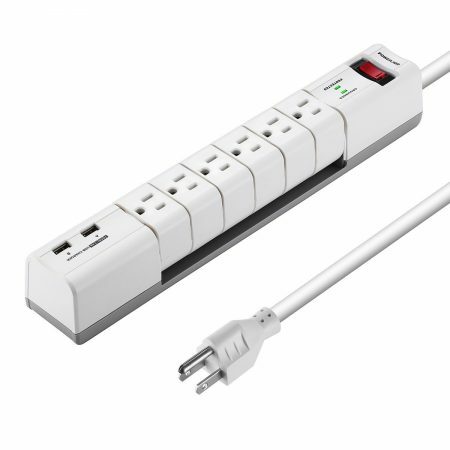 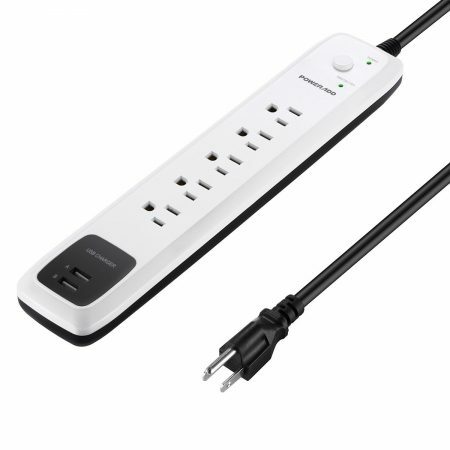 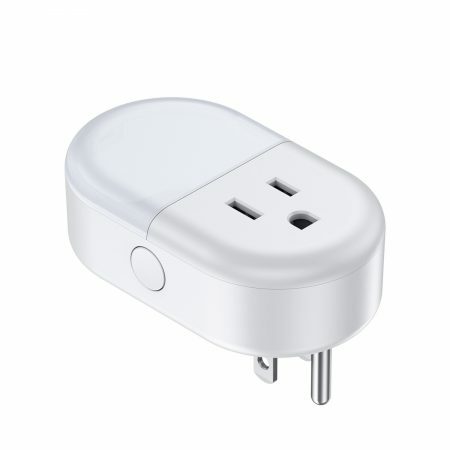 Poweradd Smart Plug works as an standard item while plays important part in smart home system, which offers you a good solution to control your home appliances that are plugged in this plug, two outlets are well-spaced for accomodating two devices at the same time without get in the way of each other. 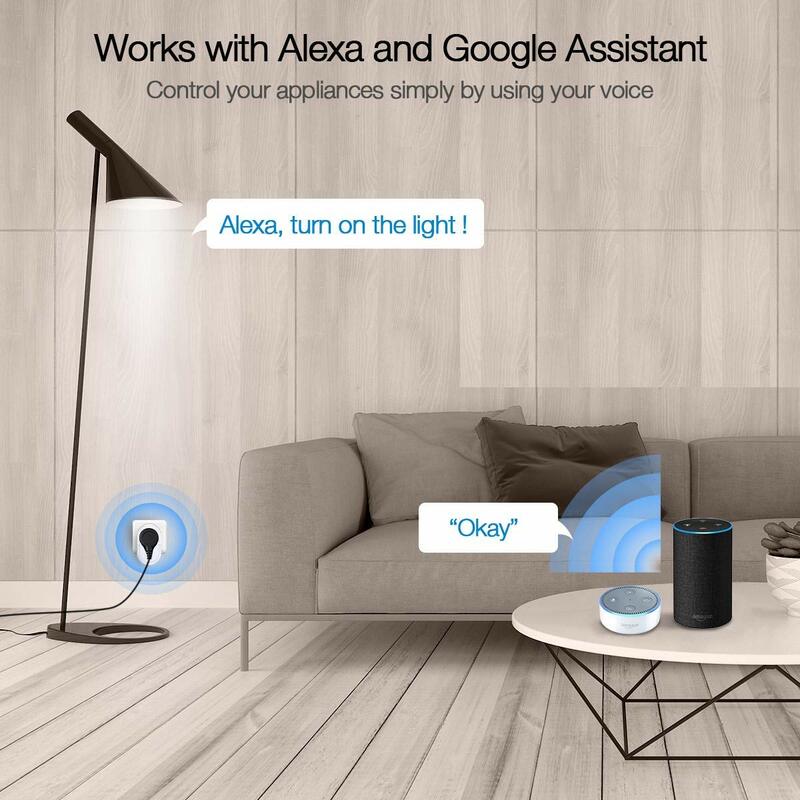 It is operated under 204G WiFi-equipped space, two devices will be controlled remotely taking advantage of application downloaded in your smartphone, easy job like turn on/0ff lights in the living room, and even pre-make drinking or food with its timing function. 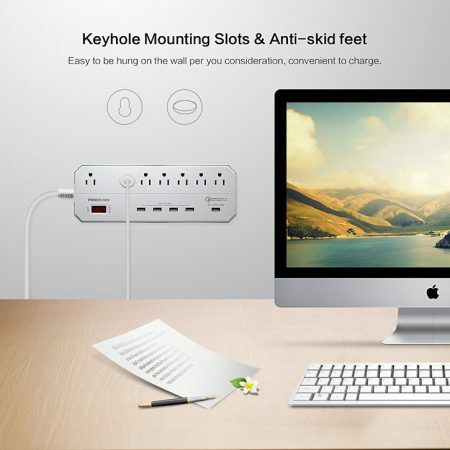 On the top hidden inside a adjustable LED light serving to your night illumination. 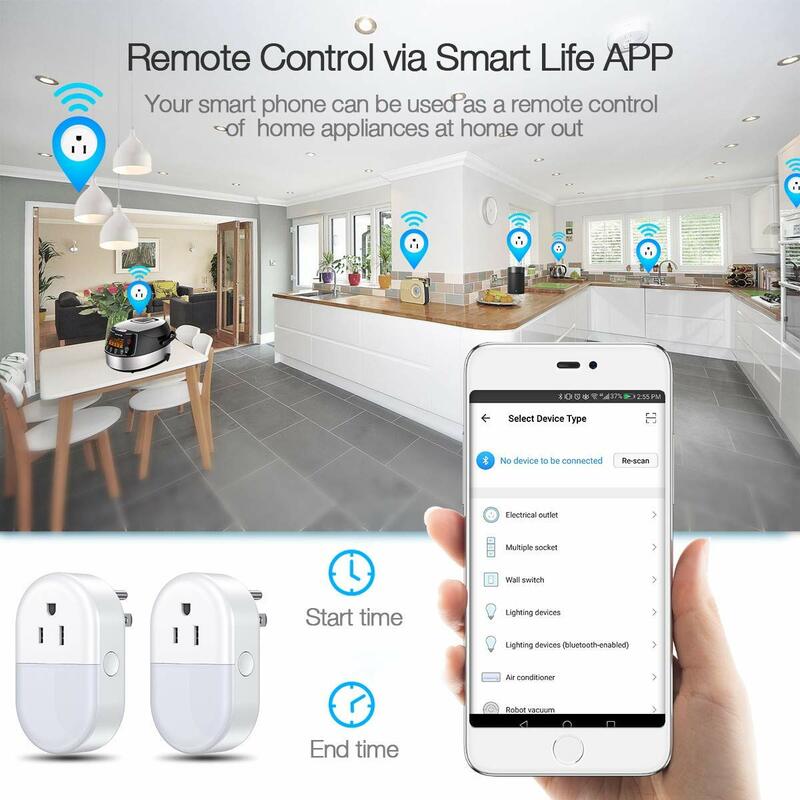 Everything in your control: An excellent mid-point item provides you a smart home system and allows you to control key devices from your phones, especially if you have an electrical device that is hard to reach or not convenient to turn on/off, such as turn your window fans off from bed or miles away; control cabinet lights in your kitchen simultaneously which is hard to reach and works separately; even add some voice command to switch on/off your lamps. 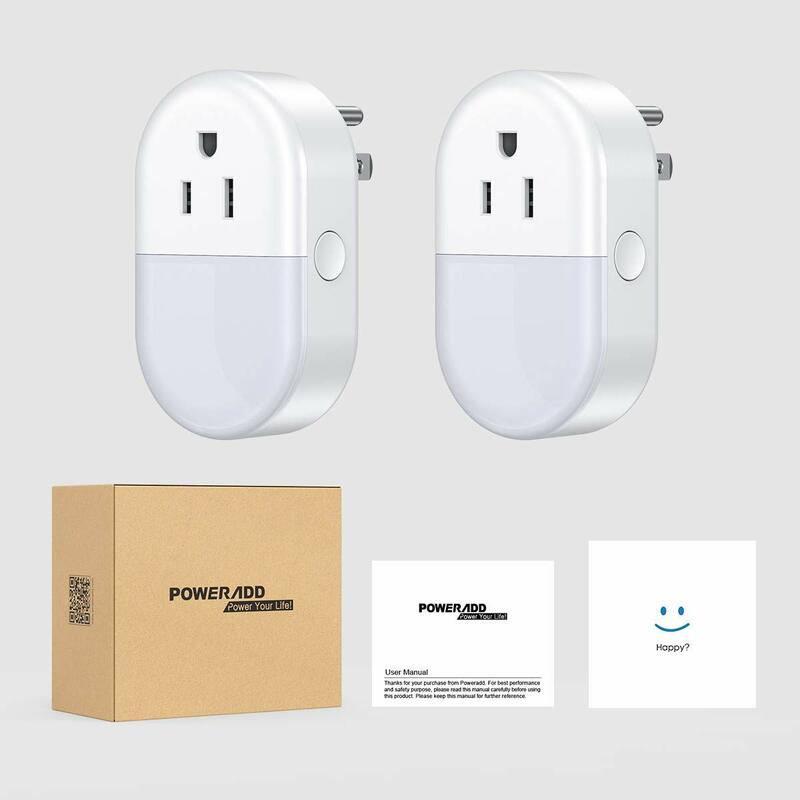 Compact size and minimal design: Palm-sized and lightweight item can be plugged into a standard wall outlet or other compatible outlets without blocking other outlets, blending into your home decoration perfectly with its matte finishes and minimal design. 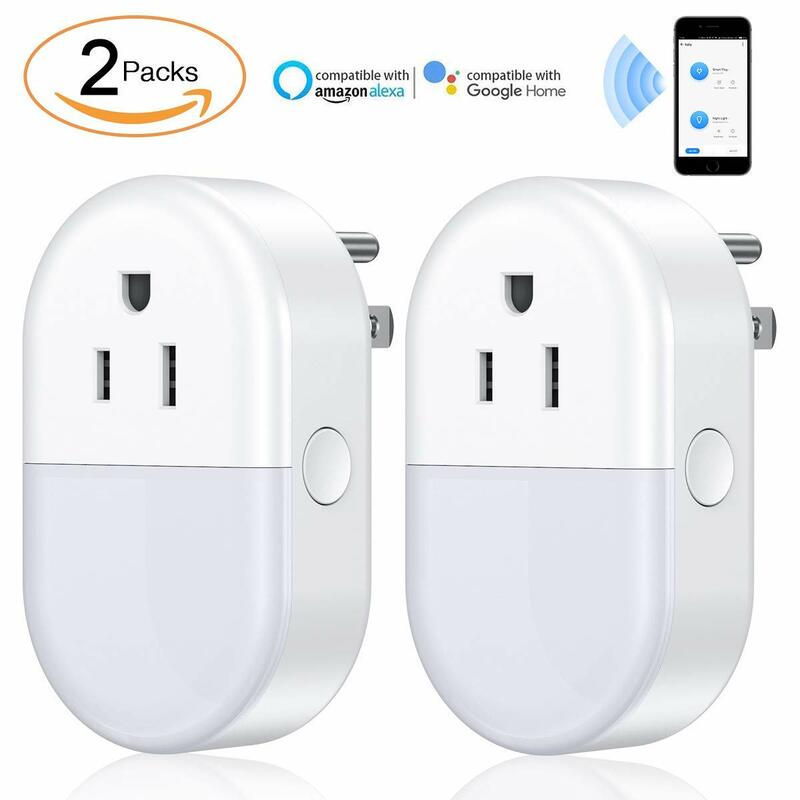 Universal and portable: Wireless controlling is no trouble as long as you are in 2.4Gh Wifi area, even you are outside your home. 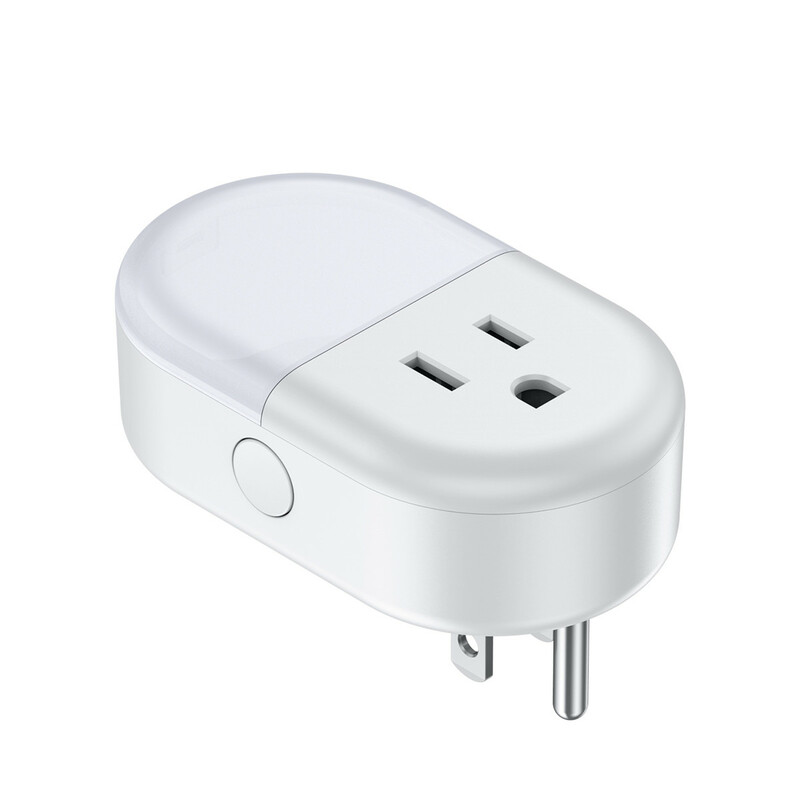 It can be carried with anywhere even you are on business trip, gadget helps you to focus on your important affairs without being bothered by trivials. 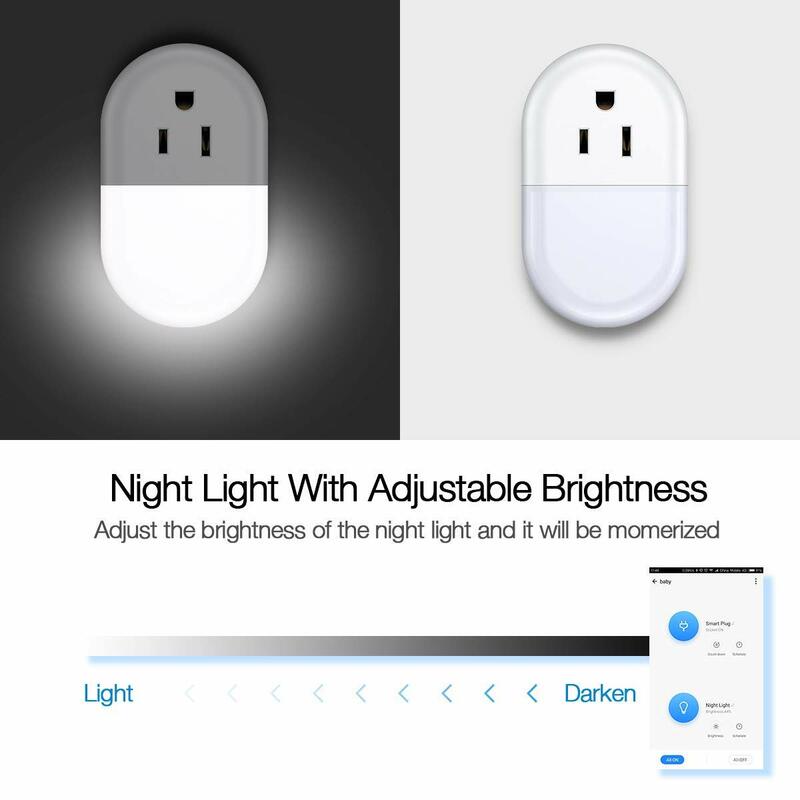 Multiple functions: It works as a night light whose brightness can be adjusted, a resonsible time setter in case you forget about those machines still working while you are out, or a schedule planner that makes your electric cooker operates in advance before you come home from work. 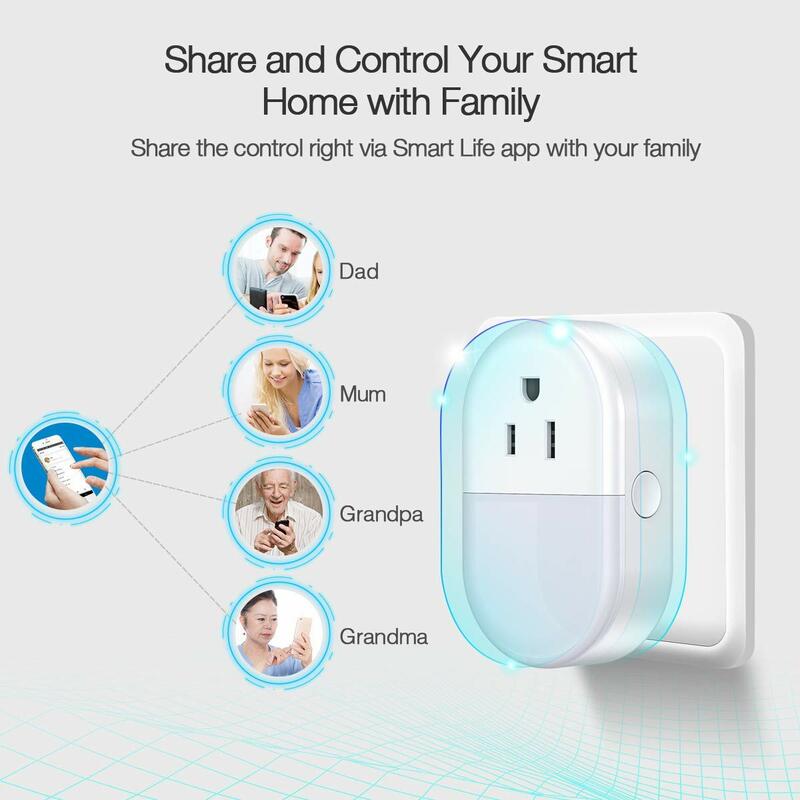 control in this APP. 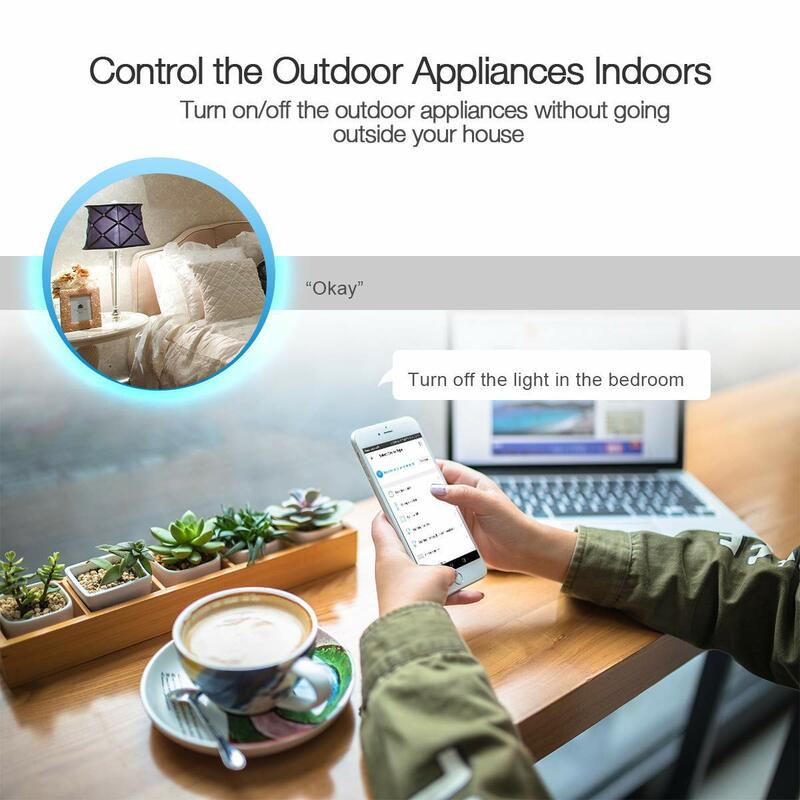 If you want to control your electrical devices via Amazon Echo,Google Home or IFTTT app, all you need to do is to connect them with your Smart Life account and you will be allowed to achieve customized controlling.